UnderDefense has made a commitment to help businesses plan, build, and run successful and high quality Cyber Security Programs. Our defense and offence teams, talented and professional cyber security experts partner with enterprise-class organizations to provide a full package of Cyber Security services and solutions that help and make businesses, governments, and other institutions operate much more successfully and securely, when the cyber security space is under constant threat of attack. In this overall connected world UnderDefense’s unique approach, dedicated professional teams, depth and breadth of full Cyber Security assessments and other offerings help organizations to rebuild strength and confidence as consumers, employees and investors. Our Application security analysts are individuals who possess the skills to assist with technical application level vulnerability identification and analysis, using industry accepted tools. They retain the ability to support and build up on existing application security assessment programs. – Application security analyst directed by your internal team to assist with day-to- day tasks. – Ability to run your existing application assessment tools. – Assist with execution of defending processes. – Track assessment and remediation activities. – Quick responses to computer security incidents according to the cyber security incident response plan. – Guidance to first responders for handling information security incidents. – Prioritizing and classifying incidents. – Investigation findings to relevant stakeholders to help improve information security posture. – Validation and maintenance of incident response plan and processes to address potential threat. – Compiling and analyze data for management reporting and metrics. Security Operations Center analyst who helps coordinate and report on cyber incidents, performs during crisis situations and contingency operations, which may necessitate extended hours of work. – Analysis and trending of security log data from a large number of heterogeneous security devices. – Incident Response support when analysis confirm actionable incident. – Threat and vulnerability analysis as well as security advisory services. – Analysis and responses to previously undisclosed software and hardware vulnerabilities. Risk and compliance analyst who owns the skills to assist with general information security program operations and compliance initiatives. – Risk and compliance analyst directed by your internal team to assist with day-today tasks. – Assist in day-to-day operations of process within common GRC platforms. – Able to read, understand and help translate compliance definitions for business use. – Assist with execution of defined processes. – Track risk issues and remediation activities. Vulnerability analyst who possesses the skills to assist with technical and system level vulnerability identification and analysis, using industry accepted tools. Ability to support existing vulnerability assessment programs. – Vulnerability analyst directed by your internal team to assist with day-today tasks. – Review and provide high level validation (false positives). – Disseminate vulnerabilities to SMEs for remediation. Threat prevention analyst who helps identify, manage, monitor, and communicate the information security risks associated with inherent and residual threats that may result in harm or disruption to the company. – Help to define, ratify, maintain and improve the Threat Prevention program. – Identification and tracking malicious infrastructure. – Proactive research of relevant threats. – Support of continuous development/integration of tools to store, exchange, and analyse threat and incident data. – Prior experience with SIEM tools and Splunk. Information security analyst who plans and carries out security measures to protect an organization’s computer networks and systems. – Organization’s networks monitoring for security breaches. – Firewalls and data encryption programs installation and usage to protect sensitive information. – Reports preparations that document security breaches and the extent of the damage caused by the breaches. Identity and access management engineer who possesses the skills to assist with IAM technology support and operation. – IAM analyst directed by your internal team to assist with day-to-day tasks. – Assist in daily operations of IAM technologies, including post production support. – Provide patching, upgrade support and regression testing of IAM technologies. – Provide system con guration functions. – Assist with execution of de ned processes. – Track IAM technology operational issues and remediation activities. Forensics analyst who collects information from digital devices as part of legal investigations, combines computer science background with forensic skills to recover information from computers and storage devices and responsible for assisting law enforcement officers with cybercrimes and to retrieve evidence. 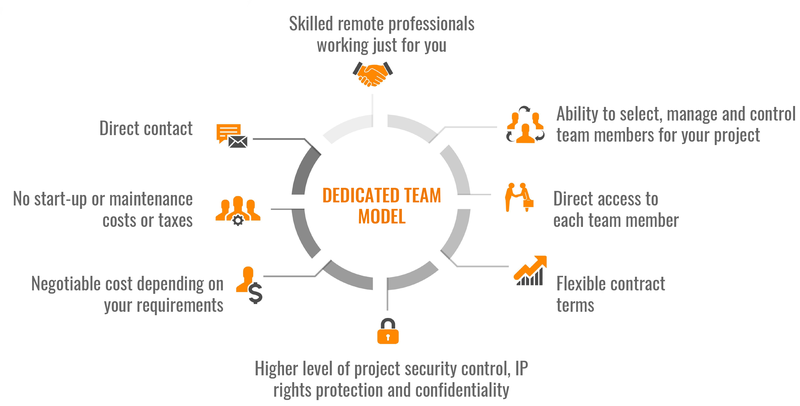 – Expertise in a corporate setting to protect computers from infiltration. – Computer broke into determination or lost files recovery. – Help detectives and other officials analyze data and evaluate its relevance to the case under investigation. – Expertise in hacking and intrusion techniques and prior experience with security testing and computer system diagnostics. Virtual CISO is a service created to make top-tier security experts available to our clients who need security expertise and guidance. – IT Expertise on a budget available anytime anywhere. – Proactive and independent coordination of programs such as breach and IR including any needed forensics. – Assessment and development of the information security skills of your wider team. We are experts in security and Splunk: providing the cybersecurity experience and Splunk skills you need to develop a security program capable of quickly identifying, containing and remediating attacks. Learn more information about our SOC services here! Cost savings up to 60% in comparision to in-house and onboarding costs. Time Efficient process of identifying, selecting, and building Security Teams. Always available talent around the globe for all of our security needs.